ARCATA – During Humboldt’s setttlement era, mule teams which had provisioned at Brizard’s in what is now Jacoby’s Storehouse used to stop at Alliance Corners to adjust their loads before continuing the journey north. Not too many mule teams frequent the area now, and commerce at the intersection of Alliance Road and Spear Avenue is limited to the Petro Mart/Gas4Less, which focuses mostly on the basics of modern existence – beer, microwave burritos and gas. 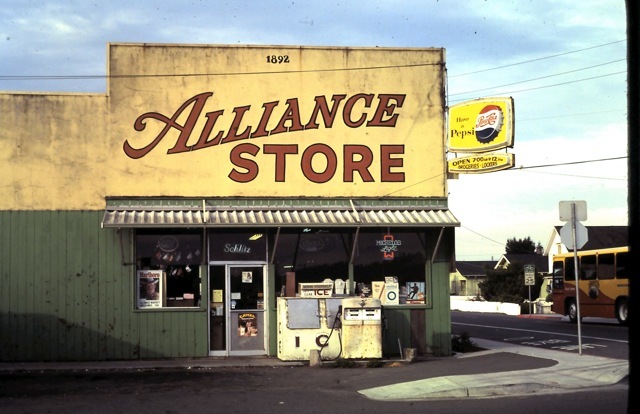 But even as late as the 1990s, the Alliance Store across the street was a bustling concern and something of a cultural center for Arcata Bottom residents. Don Kolshinski, now retired, remembers working there as a lad in the 1950s. He did a little bit of everything, from running the reg to stocking the meat case and pumping gas. Dudley Sacchi managed the place, and got on well with the area’s farmers and ranchers. “They all had charge accounts,” Kolshinski said. At the end of the month, he said, they had the option to roll a set of dice and pay double or nothing for their grocery tab. But those who paid their bill were treated to some of the Arcata Bottoms’ finest product – a half-gallon of free ice cream. 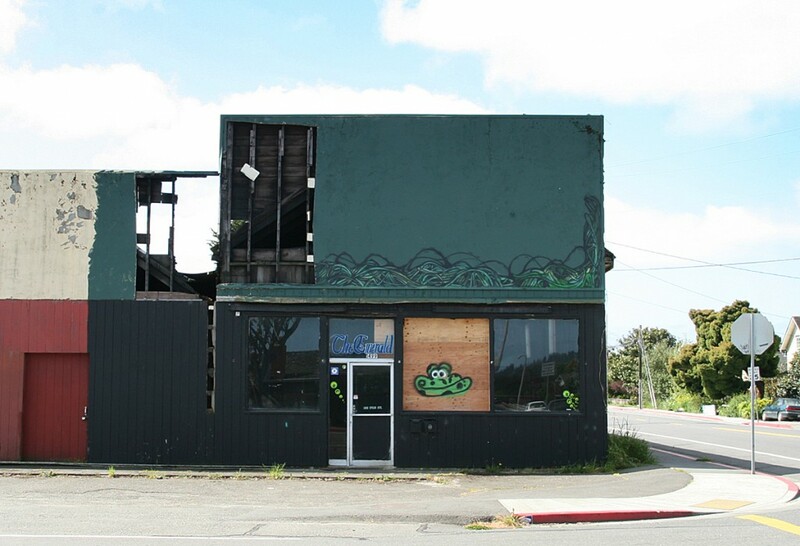 Since it burned partly down on Sept. 29, 2008, the Alliance Store building has sat vacant and unreconstructed, to the dismay of the City and some citizens. His department sent owner John Toste a letter offering City assistance in exploring options for restoring the building. As seen in the realty listing. That “something” could be a sale to someone interested in bringing the place back to life. The property is listed on California Lifestyles Realty’s website as being for sale with an asking price of $349,000. Accompanying the listing is a photo of the building before it sustained fire damage, with “Alliance Maket” [sic] photoshopped onto its façade. This entry was posted on Tuesday, July 13th, 2010 at 1:46 pm	and is filed under News, Community. You can follow any responses to this entry through the RSS 2.0 feed.